Most of us wish to ride year long if weather permits. But not all of us are lucky enough to be living in those lovely tropical climates. However, this does not mean you should abandon your machine when weather gets cold. We at wickedstock.com got your back! 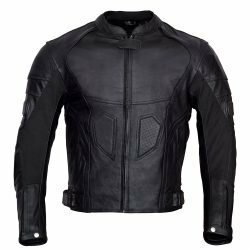 We have a huge stock of winter motorcycle jackets for men online. We promise your winter ride will be as comfortable and safe as your regular summer weather ride. 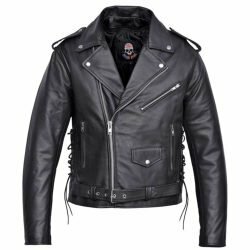 You just need to pick the winter motorcycle jacket that best suites your style and preference. 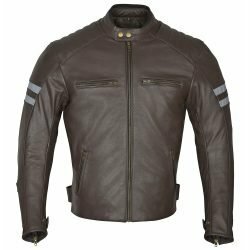 Our leather motorcycle jackets are going to be your best bet for colder rides. All our leather motorcycle jackets come with a full sleeve zip-out thermal liner that will keep you comfy by trapping your body heat. 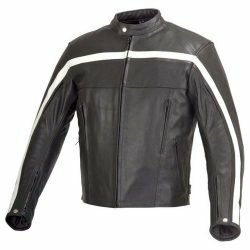 Cuffs and collar have multiple closure mechanisms to prevent any air penetrating through these leather motorcycle jackets. 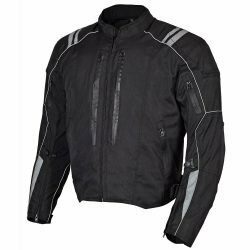 Our textile motorcycle jackets are specifically engineered to provide the comfort and warmth needed to make your winter ride an enjoyable and safe experience. 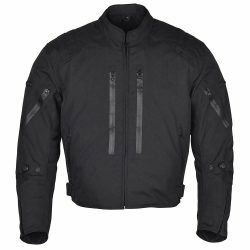 Our textile men motorcycle jackets for winter come with three liners. A fixed mesh liner that holds all the CE armor in pockets, a full sleeve removable thermal quilted liner to provide the warmth and keep your body temperature comfortable and then a removable waterproof liner to keep you dry. Getting wet on motorcycle is not a pleasant experience and certainly not in winters when you can get extremely cold very quickly if wet. With all these liners and a generous American fit you can layer up underneath if needed. These winter jackets hold out water during rain and keep you warm when it is cold. 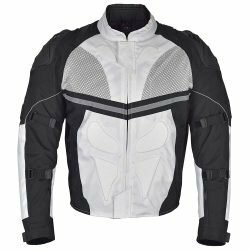 In winters during rain or snow and shorter daylight hours you need reflective and Hi-Viz motorcycle jackets. 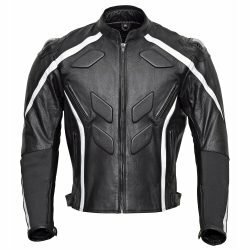 Our designers ensure your conspicuity and safety by inserting reflective paneling to winter motorcycle jackets. Remember we always ship for free and exchange for free. No restocking fees ever at wickedstock.com. You can text or call us @410-585-5467 or shoot us a line at CS@wickedstock.com for any questions.